We live in a very technological era, and computer software and hardware is constantly progressing; technology merely a few years old is swiftly becoming outdated. But what should you do with your outdated computer? If you’re wondering the best way to dispose of your technology, Envirocraft are here with all the information you need on computer recycling. Yes, computers are recyclable, and should be recycled wherever possible! Not only will recycling your old computer reduce the amount of waste ending up in a landfill, it will prevent some of the hazardous materials that computers contain from leaking out and damaging the environment. In fact, computers are covered under the Waste Electrical and Electronic Equipment (WEEE) legislation that came into force in 2007, meaning you can be heavily penalised for not disposing of your computer in a safe manner. Like most technology, computers contain chemical and plastic elements that are harmful to the environment, and if incorrectly disposed of, these hazardous elements can contaminate plants and water sources before coming into contact with animals, potentially entering our own food chain and causing sickness in the infected persons. These chemicals are present in the cables, plastic casing, switchings and circuit boards of your old computer, so it is easy to miss their presence, but they are toxic and should be dealt with according to the WEEE guidelines. Due to the potential implications of unsafe disposal of waste electrical items, in 2007 the WEEE legislation was put into place to prevent more technology ending up in landfills. The law now states that all WEEE waste, including computers, must be stored safely and separately from other waste before being handed over to a specialised waste management company who can deal with the computer in the correct manner. You are also obliged to obtain and retain documentation that shows you have complied with legislation in the handling of your electrical waste. Failure to comply with the WEEE regulations can result in prosecution and a fine of up to £5,000 from magistrates court, or in more serious cases, a fine can be issued from Crown Court, and there is no cap on how high this fine can be. 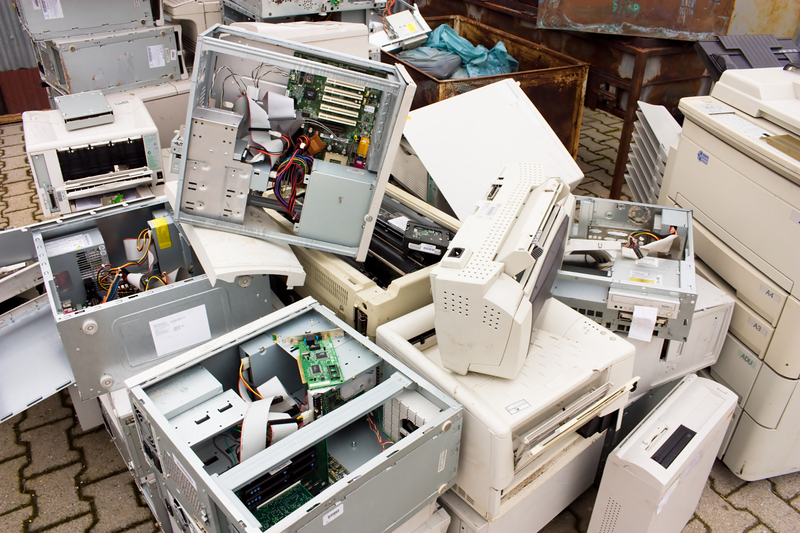 The best way to deal with your old computer is to either ring up your computer manufacturer to see whether they offer a recycling service, or rely on the services of a professional waste management service, such as our team here at Envirocraft, to ensure that you are abiding by legislation, and saving the environment from harm. Envirocraft offer a comprehensive computer and IT recycling service. 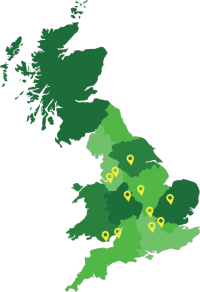 We work from our base in Cheshire, with multiple hubs across the UK meaning we can offer a prompt collection service anywhere in the country. We’re dedicated to sending zero waste to landfill, so we’ll recycle and reuse all elements of your old hardware in an accredited and safe manner. Our service is completely flexible, and we’re able to work around your schedule to offer the most convenient service we can. Get in contact today for more information – we’ll be happy to help in any way we can.